This year will go down as one that went from the ridiculous to the sublime when it comes to superannuation and self-managed super funds. To make matters worse there has now been a call from sectors of the superannuation industry most threatened by SMSFs to change the government body that regulates them. The year did not start well with an increasingly desperate Gillard government looking for any way to balance the budget. Following in the tradition of past Labor governments it started looking at the easy option of increasing taxes on superannuation and reducing super benefits. Thankfully, many of the ideas put forward never resulted in legislation. Actual improvements to the system were made that included removing the tax on superannuation contributions for low-income earners, and the punitive excess concessional contributions penalty tax was scrapped. In the ridiculous category was the proposed tax on income earned by superannuation accounts paying a pension. The tax would have been payable on super pension accounts earning more than $100,000 in income. Not long after taking government the Coalition issued a media release stating its policy on 96 pieces of legislation announced by Labor that had not been passed. Only 18 will proceed, 64 will be reviewed and seven were dumped. One of the measures scrapped was the plan to tax income earned on superannuation pension accounts. Unfortunately the Coalition also decided to scrap the tax relief on super contributions for low-income earners. The big unknown will be policies yet to be announced by the Abbott government next year. Sections of the superannuation industry most threatened by the success of SMSFs are desperately trying to tie it up in yet more regulation. A survey of attendees at a recent conference of the Association of Superannuation Funds of Australia sent shockwaves through the SMSF industry. 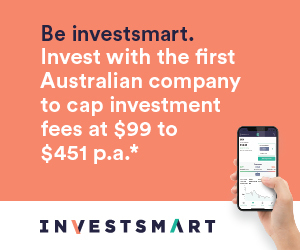 More than 75 per cent believed SMSFs were inappropriately regulated and that all superannuation funds, including SMSFs, should be regulated by the Australian Prudential Regulation Authority. The reason why the attendees reached this conclusion is not difficult. Despite claiming it is the peak industry body representing all superannuation fund sectors, a review of the APRA board of directors clearly establishes what vested interests this body represents. Of the 10 directors, five represent fund managers and retail funds, two represent industry funds, and three represent corporate and public sector superannuation funds. Proposing that SMSFs should be regulated by APRA is self-serving and designed to make an already complicated situation for SMSFs even worse. The major problem with SMSFs being regulated by APRA, and the Superannuation Industry Supervision Act, is that this body and legislation is designed to regulate trustees of superannuation funds who are looking after other people's money. The trustees of SMSFs are the members and therefore the numerous rules imposed under SIS does not apply to them. A more sensible change would be to remove those regulations specifically aimed at non-SMSF trustees, which often result in increased administration and bureaucracy, and simplify the rules to more specifically protect superannuation in SMSFs so that it can be used only for retirement purposes.